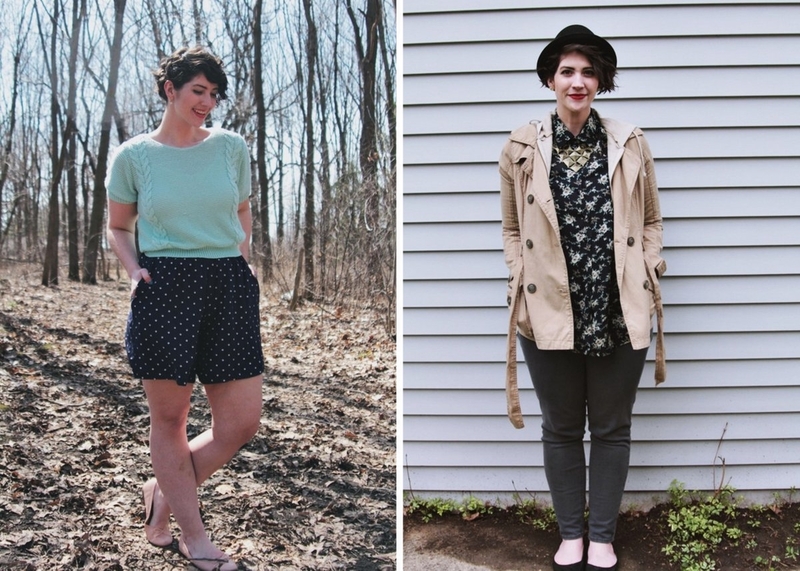 This blog post is cloudy with a chance of style! Read on for inspiration to step up your spring style with looks plucked from The Outfit Repeater archive. My last post talked about me feeling creatively drained. I thought I was ready for the season to change but I guess I wasn’t! Sometimes all you need is to look at other people dressing well (or fashion magazines, in my instance) to get the ideas flowing in your head again. 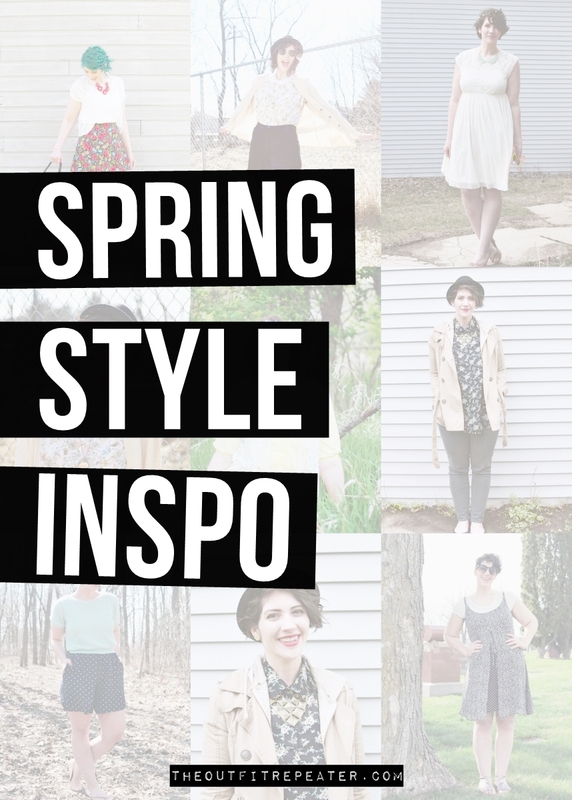 In case that’s you today, here’s some of my favorite spring outfits that I’ve worn in the past + some brief takeaways to help you in recreating these looks with what you’ve got on hand. These two outfits have a lot in common. They’re both dresses and have hints of white lace. 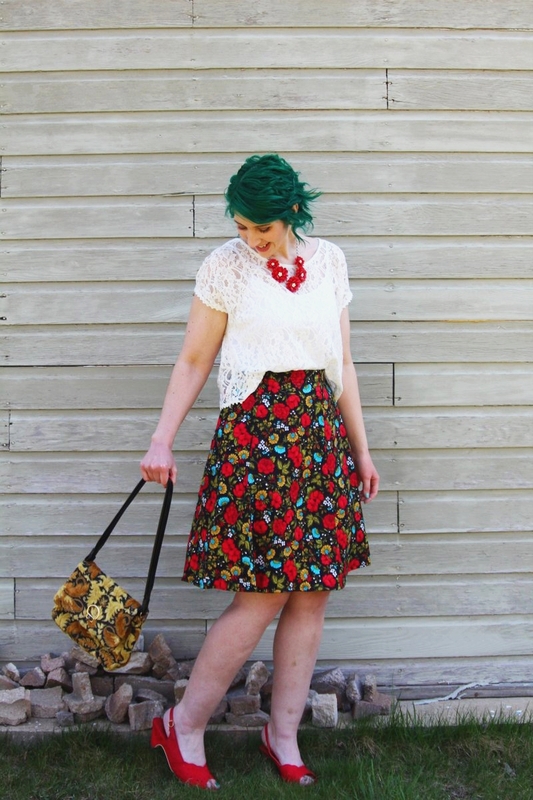 Wearing lace is an easy way to add a layer to an outfit without overheating due to the unpredictable spring temps. Plus it just adds such a touch of chic! If you’re feeling blue, why not wear blue? These two outfits represent that perfectly. In one I mixed navy with mint and made a delicious combo. The other outfit is navy mixed with Earthy gray and beige tones. Blue is the MVP in the fashion world, clearly! 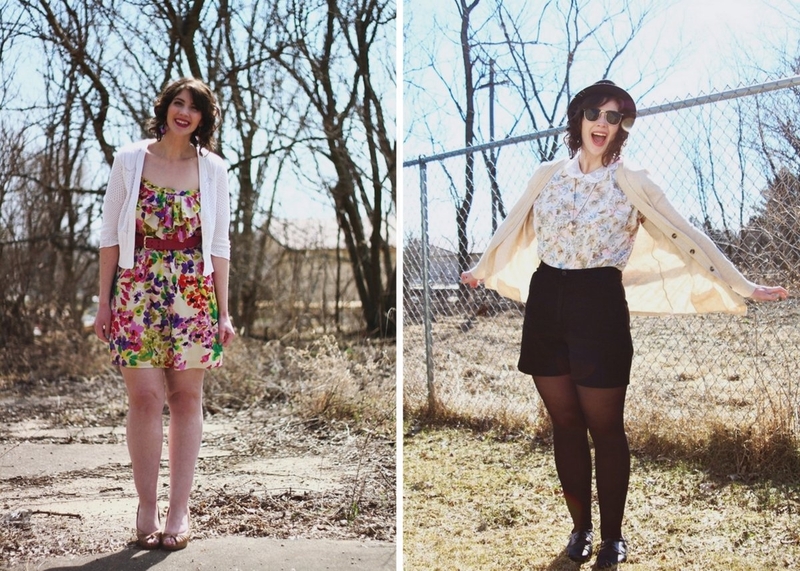 Spring of 2015 found me wearing a lot of florals. It’s a seasonal staple and can be worn so many different ways. I love that one outfit here is straight up feminine while the other floral got mixed up with some preppy vibes. Floral just works! 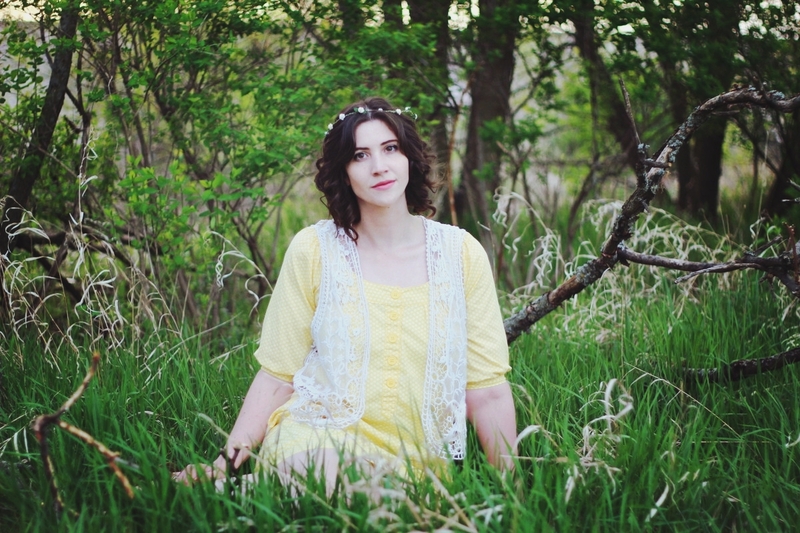 A dress in the spring is a perfect choice. Whether you pair it with leggings, thin tights, or bare your legs, there’s something very freeing about letting go of the heavy winter layers and wearing a loose frock! Of course my last outfit post was going to get a shout-out here. It’s one of my new favorites because of how I combined so many patterned/colorful/interesting pieces. 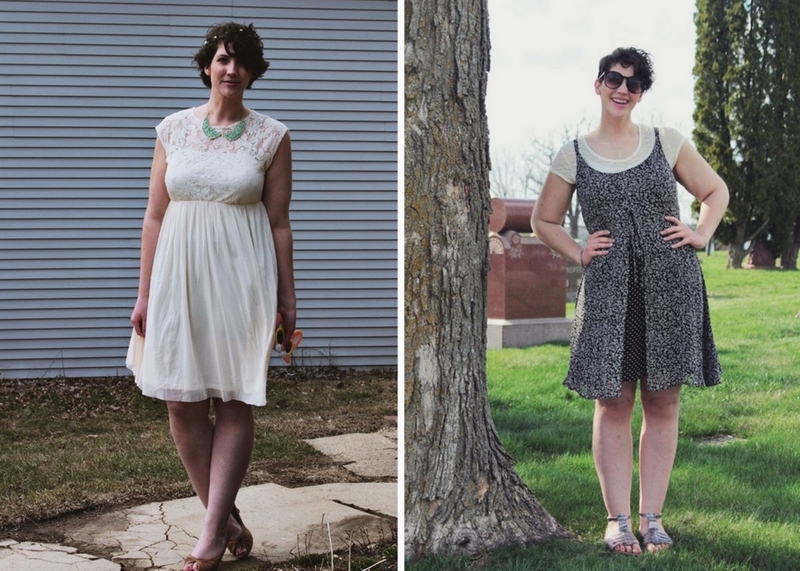 Now that you’ve caught up on this post, I’d encourage you to get into your closet, do some spring cleaning, and come up with some fabulous new outfits based on what you read today!